Robert Greubel and Stephen Forsey first unveiled their invention at Baselworld 2008 as part of the EWT Laboratory and then presented a more advanced version of a technical demonstrator at SIHH 2010. Since then, further exciting paths have been explored to help optimise accuracy in this new timepiece. 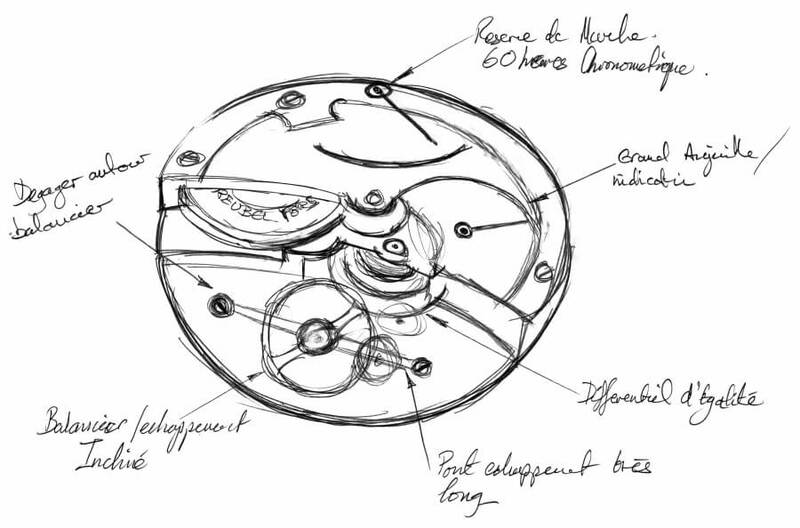 The Différentiel d’Égalité enables steady distribution of power from the mainspring barrel to the regulating organ, which maintains a constant balance amplitude during the 60 hours of the power reserve. 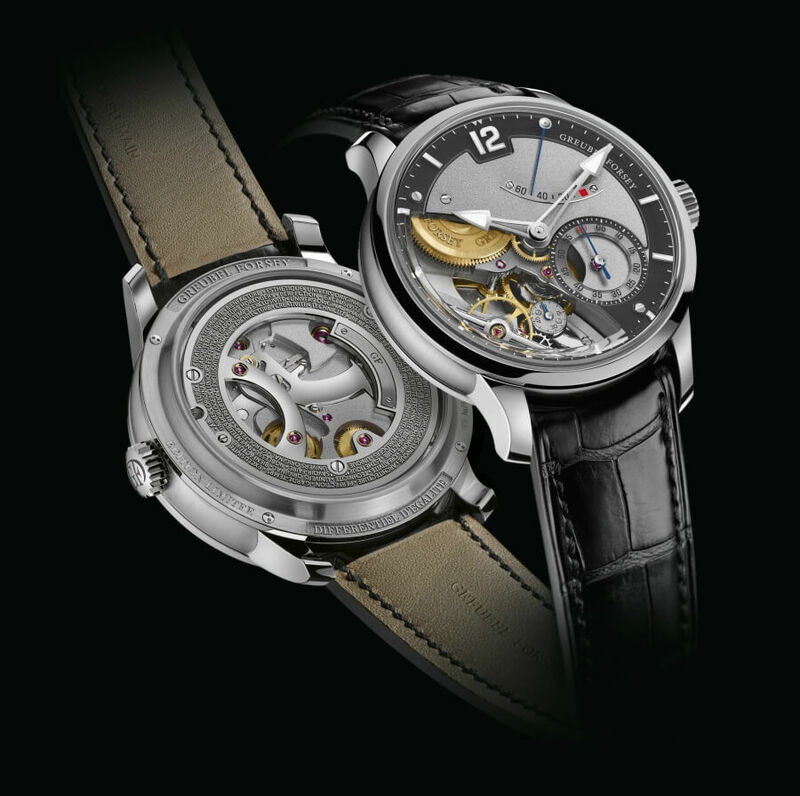 In a first for Robert Greubel and Stephen Forsey, this timepiece features dead-beat seconds. This makes it easier to read and to set the time precisely. The timepiece is equipped with a balance wheel stop and seconds reset activated by pulling the crown. The heart and the hammer of this mechanism are visible on the movement side. The 30° angle of the balance wheel and escapement minimises the e ects of gravity and ensures efficient movement performance in stable positions. 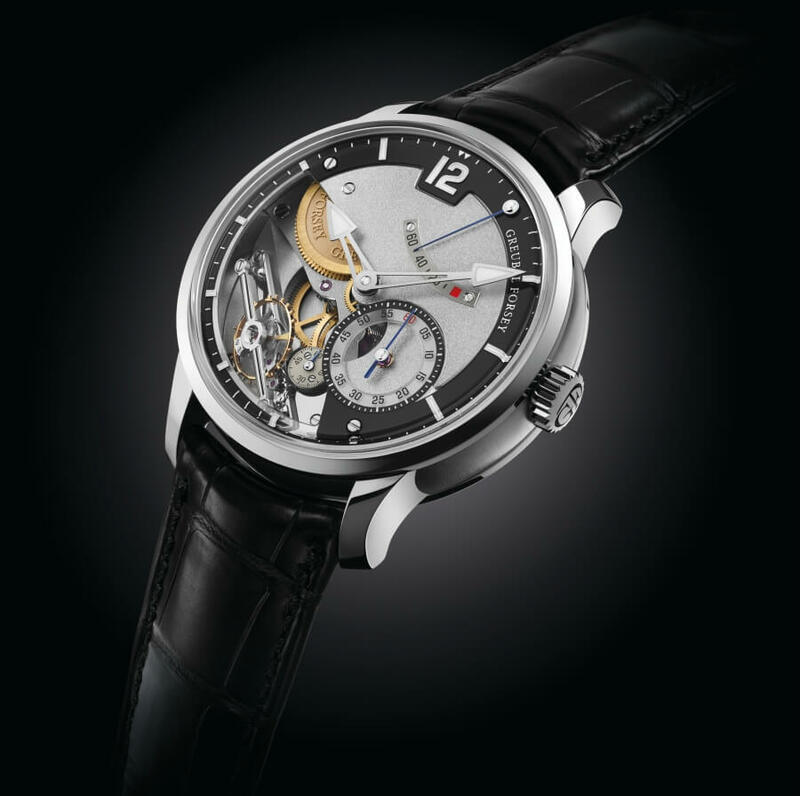 This Greubel Forsey technique guarantees excellent mean/averaged balance wheel performance, which is the mark of heightened timekeeping accuracy. All of these components work together magnificently to help improve performance. The aesthetics of this timepiece flow from everything that’s purest in Greubel Forsey’s mechanical spirit. 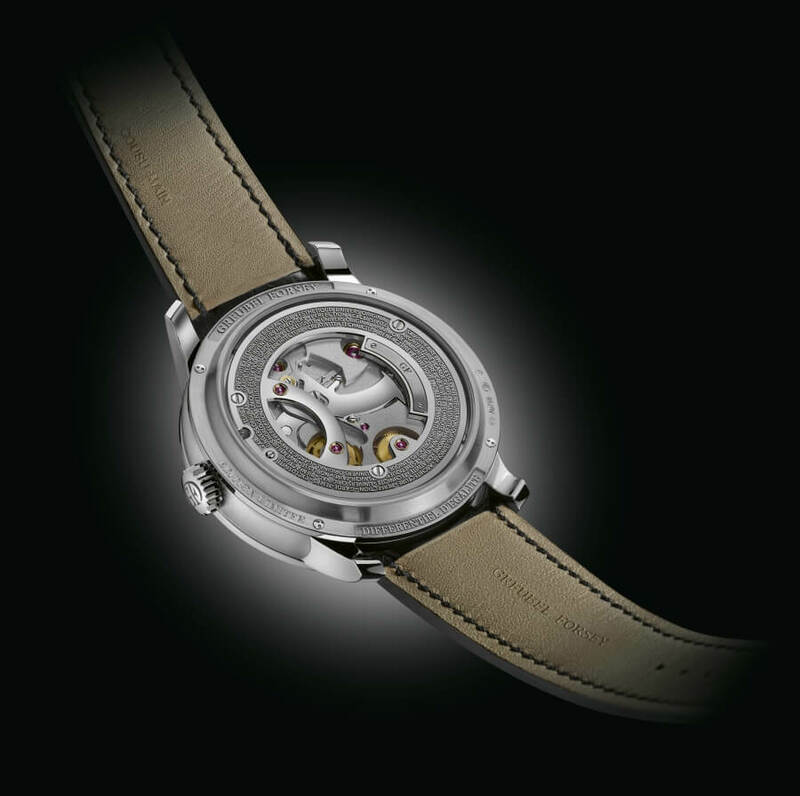 A large opening in its dial allows a glimpse of all the beauty and complexity of the movement. The dial side has a high-domed sapphire crystal that gives this new creation a refined silhouette. 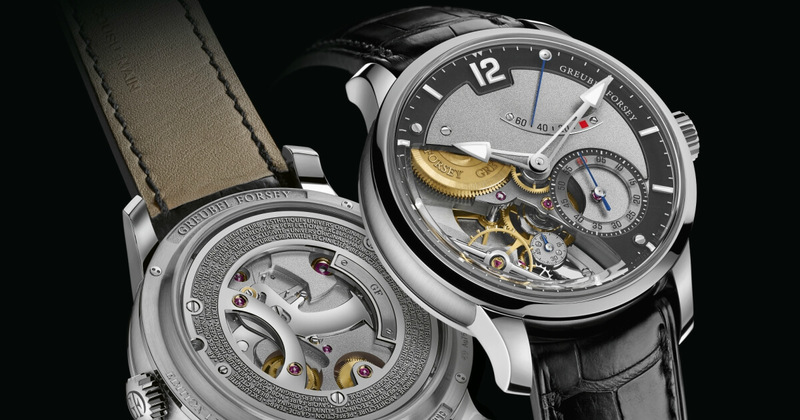 The movement side shows the “stop/reset” mechanism and the engraved inscriptions which encapsulate the key values that Robert Greubel and Stephen Forsey instil in their creations. This white gold edition is limited to 33 pieces. • Two series-coupled fast rotating barrels (1 turn in 3.2 hours), one of which is equipped with a slipping spring to avoid excess tension • Barrel with relief engraving "Greubel Forsey"
The price for the Greubel Forsey Différentiel d’Égalité is CHF 265,000. 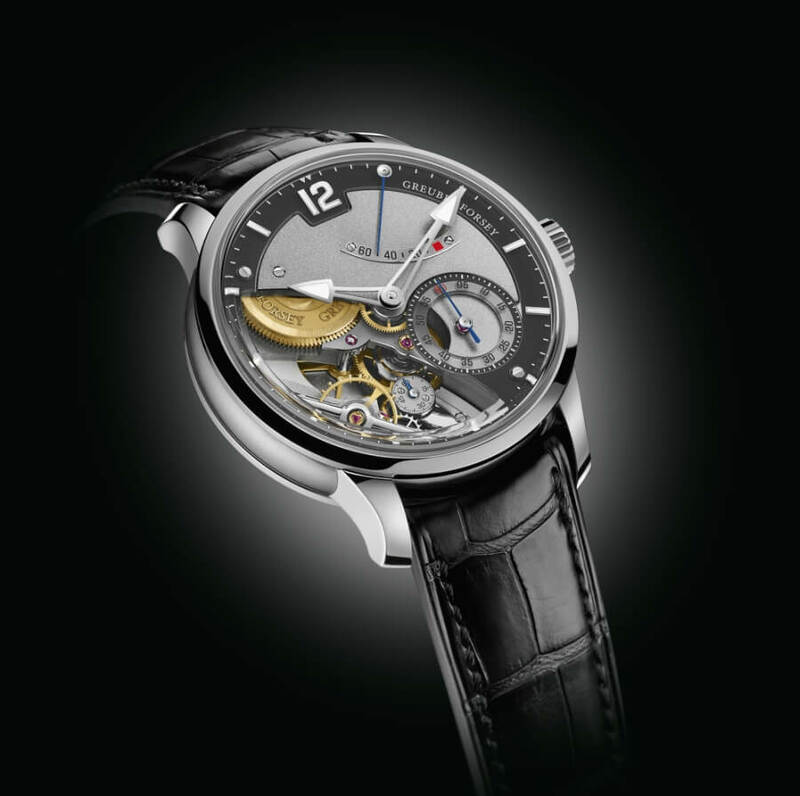 For more visit Greubel Forsey Online.